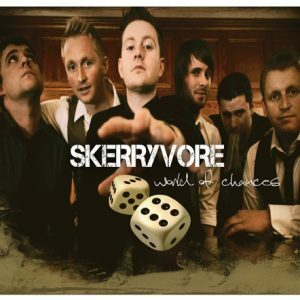 Generally considered the world’s finest performers of traditional and contemporary Scottish music – and with good reason. Silly Wizard‘s music is at once driving and sensitive, powerful and poignant, at times hypnotic, often humorous, with sensitive group interplay and virtuoso-level musicianship. Their repertoire includes centuries-old instrumental dance music along with traditional and contemporary narrative ballads: tales of joy and woe, of men and women, of time and travel, of love and loss. Silly Wizard is not just another folk music group; they rank with the greatest creators and performers from any country from any time. I’ve received it 1 week ago and it’s brilliant! Thanks a lot, already have spent some happy hours listening it! Thanks for your beautiful music! A lot of people in Russia loves your music and a lot of bands trying to play it. Thanks for working so hard to get this cd done – it’s brilliant! It felt really great to play a ‘new’ Silly Wizard cd on my radio show! Listening in my car or headphones is wonderful – I can really hear the parts you brought out in re-mixing. Five stars? I’d give it 20! Listening to mine right now. Can’t get enough of the music. Great liner notes with a fascinating picture collage. Sounds great. And amazing service–can’t believe it arrived so quickly. We were listening, and singing along, to the CD on a long car journey today and it was SUPERB! Alistair Clark’s liner notes on this soundboard recording from a US gig in the autumn of 1983 say it all, conveying the affection, esteem and sheer sense of fun that this seminal band engendered in everything it touched. This especially potent outfit convened in the early ‘70s and called time in the late ‘80s, blending the Tradition with the lyrical invention in the trad.-inflected songs of Andy M. Stewart and featuring a syncopated, stomping feel to their tune sets. To say they were vitally important to the healthy state of Scots music and song now is not to overstate the case. Were there ever more deserving candidates for the full box set treatment? I think not. Until such time however, as back catalogue issues are resolved, Wizard bass player and Birnam CD boss Martin Hadden is to be commended for putting together this emotionally and musically rewarding release, with its presiding spirit of energy, innovation and sheer joyousness. 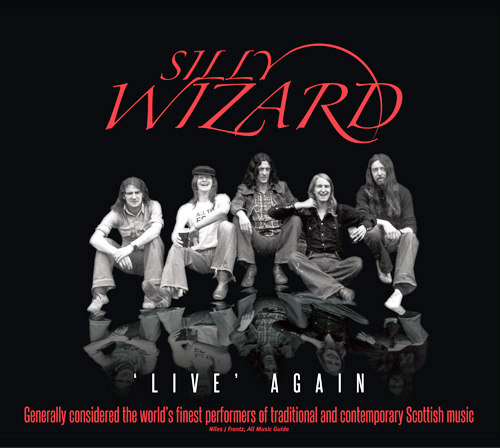 The old saying ‘…died and gone to Heaven’ really is the only way I can describe this re-release of Silly Wizard’s performance recorded at The Sanders Theatre in Massachusetts, USA in 1983. Ah, the memories come flooding back as I relive my youth and the acoustic explosion that was Andy M Stewart (lead vocals/banjo), John & Phil Cunningham (fiddle & accordion respectively), Martin Hadden (bass) and Gordon Jones (guitar). Unfortunately I doubt we will ever see their like again as they were indeed one of a kind and for those of us that witnessed the band ‘live’ we can count ourselves lucky that at least we were there when it happened. To have been lucky enough to bask in their company I know that everyone I talk to who remembers those days has so many anecdotes there would be enough to fill several books quite easily. Like the audience at this particular concert the choice of material including song-writer Stewart’s “The Queen Of Argyll”, “Golden Golden” and “The Ramblin’ Rover” remain classics to this day and the humour, respect and interaction between the Cunningham Brothers comes to the fore in a truly astonishing set of seven reels that I doubt ever (in my lifetime at least) to witness again. This CD features fifteen tracks of unbelievable musicality and the warmth extended in return from the audience is a tangible experience you will rarely find anywhere else at any time. I doubt anybody who knows me would blame me for waxing lyrical about a band that no longer exists but as long as we have recordings like this to remind us of “…the good old days” we can proudly boast we were there to witness it first hand. 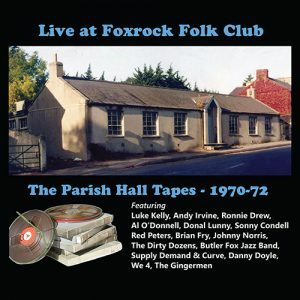 This is an album that not only comes highly recommended but should be an essential part of any ‘true’ folk music enthusiast’s collection.If you buy any album for nostalgia’s sake this year it has to be this one! Any commentary on the musical value of this set will be superfluous, and the atmosphere of the gig is tremendous. Putting it simply, the lineup of Phil & Johnny Cunningham, Andy M. Stewart, Martin Hadden and Gordon Jones was the band’s greatest era, for they could turn their hands to anything within Scottish tradition, from blistering, roof-raising sets of jigs and reels (including some of Phil’s own compositions) to sweet and poignant slow airs, from deep traditional song to Andy’s own compositions. Of the latter, the live set contains four – Queen Of Argyll, Ramblin’ Rover, Valley Of Strathmore and Golden Golden – which have since become repertoire staples. To say that the playing and singing are incendiary would be a terrific understatement, and their rapport with an audience, which communicated the band’s key sense of fun as well as respect for the music and the tradition, was to prove an inspiration for the many imitators they spawned (though none could ever match! 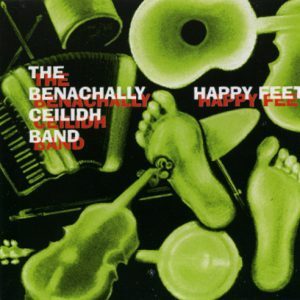 ), not least in the way they gave Scottish folk music a true sense of purpose within a scene that was still dominated by English, American and Irish music. The band could shift high-octane with virtuoso playing and improvisatory power, or slow-burn with time-stands-still passion, but whatever they did they excelled, as every one of the set’s 15 items proves. Only the occasional, slightly laboured touches of synth serve to date what is in every other respect a timeless performance. This reissue is highly recommended. To expend any further review wordage would be superfluous. 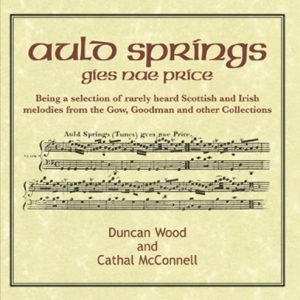 Recorded nearly 30 years ago at a sell-out concert in Massachusetts, and alive with the American fans’ squeals of delight, this compilation reveals the Scotland-based band at their crowd-pleasing peak; Johnny Cunningham and Phil Cunningham leading the charge on fiddle and accordion on top of Gordon Jones’s acoustic guitar, Mamie Hadden’s electric bass and Andy Stewart’s banjo. The latter’s well-written songs then slow things down and inject a mellower mood before the remaining tracks take the tempi of the reels and jigs to typical Silly Wizard extremes – from slow to cheerful cardiac arrest. UNFETTERED wizardry and sheer unashamed nostalgia exudes from this release by Birnam CD (run by former Wizard bassist Martin Hadden) of a benchmark performance the band gave in Cambridge, Massachusetts, in 1983. Sections of the concert have been released in the past, but this remastered disc brings together the whole heady affair, from the introductory muscle of The Green Fields of Glentown to the winding-down drift of Broom o’ the Cowdenknowes. Here, once again, is the inspired partnership of accordionist Phil Cunningham and his late, lamented fiddler brother, Johnny, flying with indecent ease through sizzling instrumental sets and driving the heady Highland charge of Donald MacGillivray, or threading their way delicately, with Hadden and guitarist Gordon Jones, through Andy M Stewart’s familiar vocals, from the elegiac Valley of Strathmore to the swaggering Queen of Argyll. Pioneering Scotsman folk columnist Alastair Clark’s sleeve notes capture both the period and the phenomenon. Reading the accompanying publicity, you might be forgiven for thinking that this is the 12th album by a long-running Scottish folk group that’s still performing. Listening to the album itself, you’d certainly be forgiven for wanting tickets for their next gig because these tracks, recorded in front of a vocally excitable Cambridge, Massachusetts audience in 1983, are alive with the skill, dexterity, daring, passion and feeling for the tradition that made Silly Wizard such a phenomenal live act. Released to mark the Wizard’s overdue induction into the Scots Trad Music Hall of Fame this December, Live Again endorses a reputation for high-wire instrumental sets featuring Phil Cunningham’s accordion and his late brother Johnny’s fiddle alongside Andy M Stewart’s barrelling tenor banjo. But there’s texture, thoughtfulness, improvisation and arranging nous to spare, too, and in Stewart’s magnificent telling of songs traditional and original, amorous and humorous, there’s the depth of tone, tenderness, timing and sheer authority of a singer with the tradition in his soul. Excellente réédition, particulièrement bienvenue en ces temps où, comme le dit un autre chroniqueur, les rééditions CD deviennent rares et précieuses. Cette collection de titres enregistrés en public aux Etats Unis dans les années 80 peut faire office de très bonne compilation, tout en laissant au néophyte quelques découvertes à faire sur les albums studio. Comme beaucoup, j’ai longtemps dû me contenter d’une vielle cassette de "Live Wizardry" et je suis ravi de pouvoir enfin bénéficier de cette superbe musique dans de bonnes conditions. par ailleurs, le service de Birnam CD est très satisfaisant, et le mini CD pop d’Eilidh Hadden inclus dans le paquet est très prometteur. All other reviews say it all. A great album and a shock to me. I attended a SIlly Wizard concert at Sanders Theatre at Harvard in Cambridge Mass sometime between 1979 and 1986 (the years I was there). So unless they did another, I attended this one. I remember it as being a great concert so seeing this CD made it impossible to not buy it. Listening to it many songs are also on "The Best of SIlly Wizard" but with different pacings and more emotion. Certainly the latter for me looking back 30 years (was it so long ago?). I’ve bought several copies for gifts, it is so great.